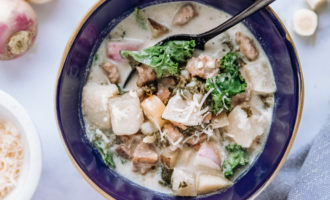 Are you looking to step up your vegetable options this Fall? 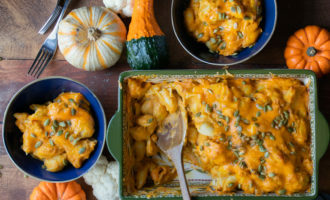 Well, I have the perfect recipe for Pumpkin Spice Green Beans that I must admit is surprisingly addictive and they’re the perfect solution to making your vegetables a bit more extrordanary! 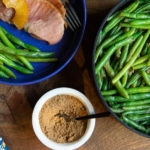 You can pair these Pumpkin Spice Green Beans with this year’s Thanksgiving Turkey, Ham, or just have them as a dish of its own. 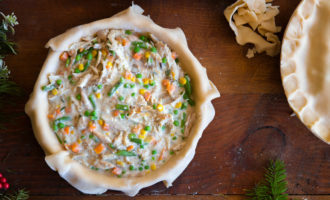 The flavor combination is savory, robust, and is sure to make you feel warm and cozy this Fall. These Pumpkin Spice Green Beans are full of flavor and perfect as a side dish or alone. In a large skillet, melt olive oil and butter over medium heat. Once olive oil and butter is melted, add sliced shallots. When shallots are brown and slightly tender, add in your steamed green beans. Saute your green beans and make sure that they’re fully tossed in the the olive oil and butter. 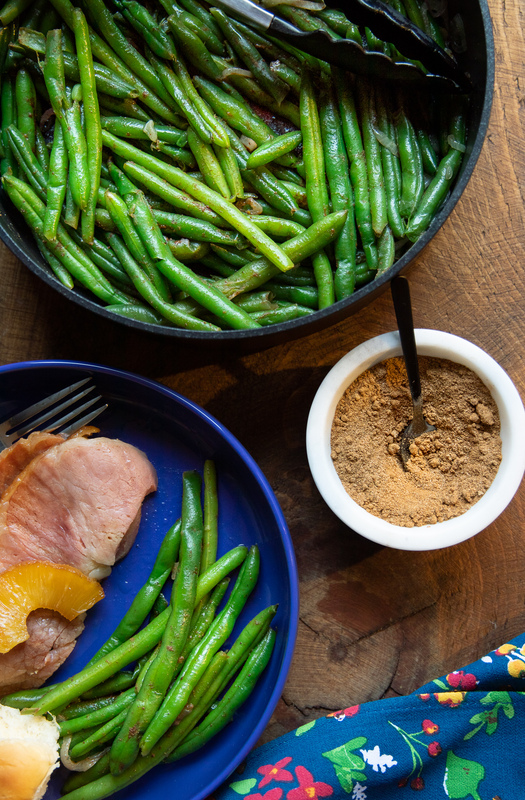 Toss green beans in 1/2tbs of pumpkin spice mixture. Remove green beans from heat before they get too tender. You can use more or less Pumpkin Spice on your green beans. You will have a ton of Pumpkin Spice left over. Use it on anything your heart desires. For best results, I purchase steamable green beans. I steam them in the microwave at the lowest time given, then I sauté on the stove. This will allow your green beans to remain bright green and not too tender nor too crisp. Thank you for taking the time to make this recipe. I’d love to see how your dish turns out. Please tag me @RosalynnDaniels so that I can repost your final product! If you love jazzing up your vegetables, then you may also enjoy my Vegetable Au Gratin! 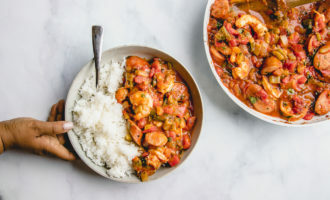 Pin this recipe for later or share with a friend!